Enjoy the comfort of Nano Bamboo moisture wicking fibers in Dr. 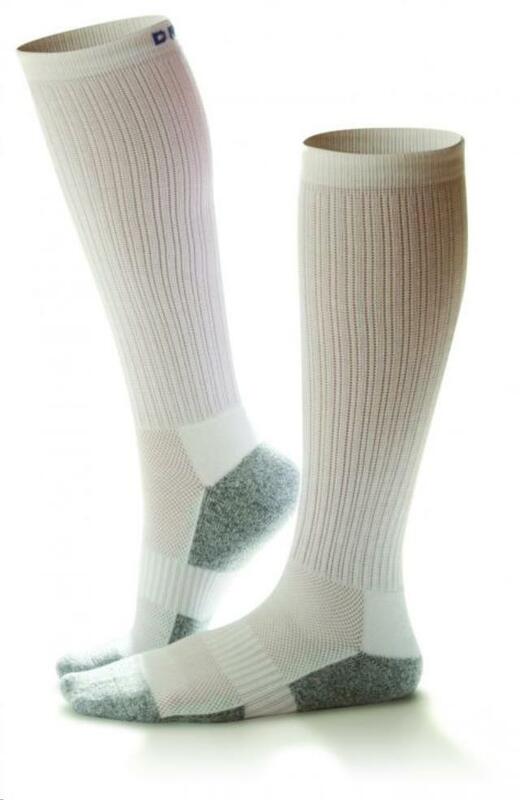 Comfort Shape To Fit Diabetic Support Socks. It's part of the comfort collection with extra soft padding at the feet. Dr. Comfort is a leading manufacturer of diabetic footwear and its design is mindful of extra sensitive diabetic feet. In addition to moisture wicking features, the bamboo polyester fibers use charcoal technology for its anti-microbial properties. Diabetic Support Socks are made with 15-20 mmHg graduated compression starting at the ankles to improve blood circulation, reduce swelling and encourage circulatory wellness. Its proprietary seamless construction won't indent the leg and is helpful for pregnant women and individuals recovering after surgery, with edema, varicose veins and inadequate veins. * Please call us for any questions on our diabetic white large 15 20 serving Seattle and surrounding communities.